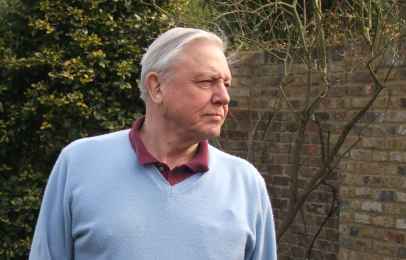 In a flurry of interviews on the opening day of COP21, the UN climate talks in Paris, Sir David Attenborough, speaking with the authority few interviewers dare to counter, outlined the simple premise of the Global Apollo Project. Media coverage of the climate crisis has been lamentably low (with the honourable exception of The Guardian and Independent) throughout 2015. Nevertheless it was encouraging to hear a clear exposition of the need to aim for an international research initiative leading to a cut within 10 years of the cost of clean electricity to below that of electricity from coal. Just as the original Apollo programme led to men walking on the Moon within ten years, this could be a way to inspire the world to get a serious grip on climate change within a similarly short time, leading to the obvious next stage, a zero carbon world. Sir David Attenborough, the renowned naturalist, was one of the signatories to a letter to the Guardian in September (2015) backing the Global Apollo Programme, to be funded by governments, to cut the costs of clean energy and come up with affordable technologies to store and transport solar and wind power. The letter was signed by eminent scientists, business leaders and politicians, including oil executive Lord John Browne, former energy secretary Ed Davey and climate scientist Sir Brian Hoskins. The plan they outline would require leading governments to invest a total of $15bn (£10bn) a year in research, development (R&D) and demonstration of clean energy. That compares to the $100bn currently invested in defence R&D globally each year. Scientists estimate that about 80% of fossil fuel reserves must stay in the ground if global warming is to be limited to 2C, a rise seen as the safety limit. Yet R&D is still paltry. The backers of Apollo, who include Unilever CEO Paul Polman, economist Lord Nicholas Stern, MP Zac Goldsmith, former chair of the Financial Services Authority Lord Adair Turner and former cabinet secretary Lord Gus O’Donnell., note that renewable energy currently receives less than 2% of publicly funded R&D. He said there were precedents for public funding for technological advance. “Most of the great advances of the last 100 years have come from publicly-funded research – computers, satellites, the internet, smart phones,” he said. David Attenborough – Talking to a Great Broadcaster, Gareth Huw Davies is available from Amazon. Previous PostAs Paris climate talks start, is it time to aim for a zero carbon world? Next PostA Child’s Christmas in Wales comes to Dylan’s home.